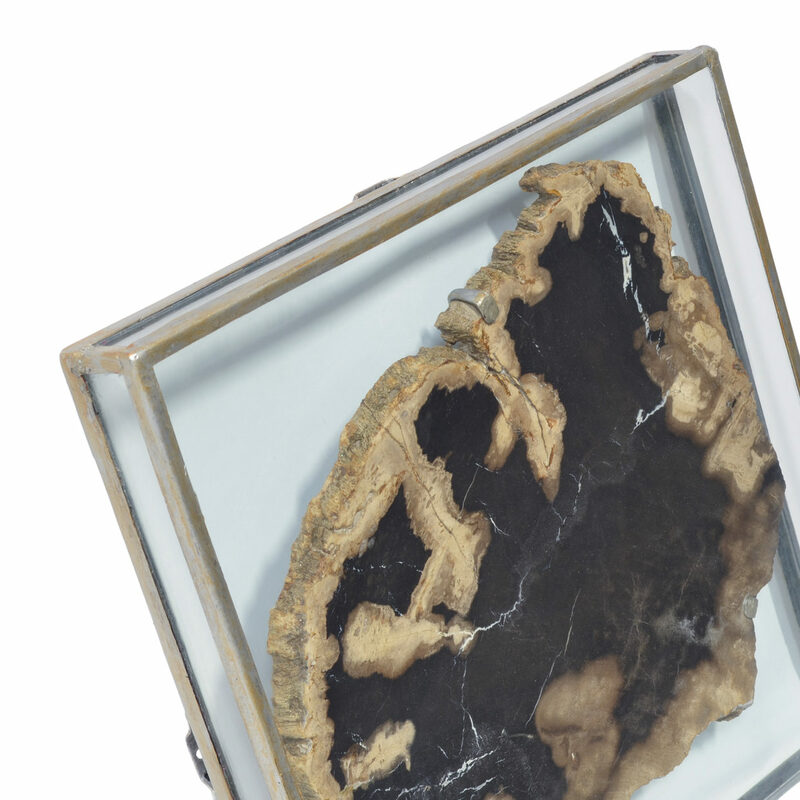 Nayural petrified wood slice suspended in a square glass box with wrought iron metallic frame. Each slice will vary in size, shape, and color. 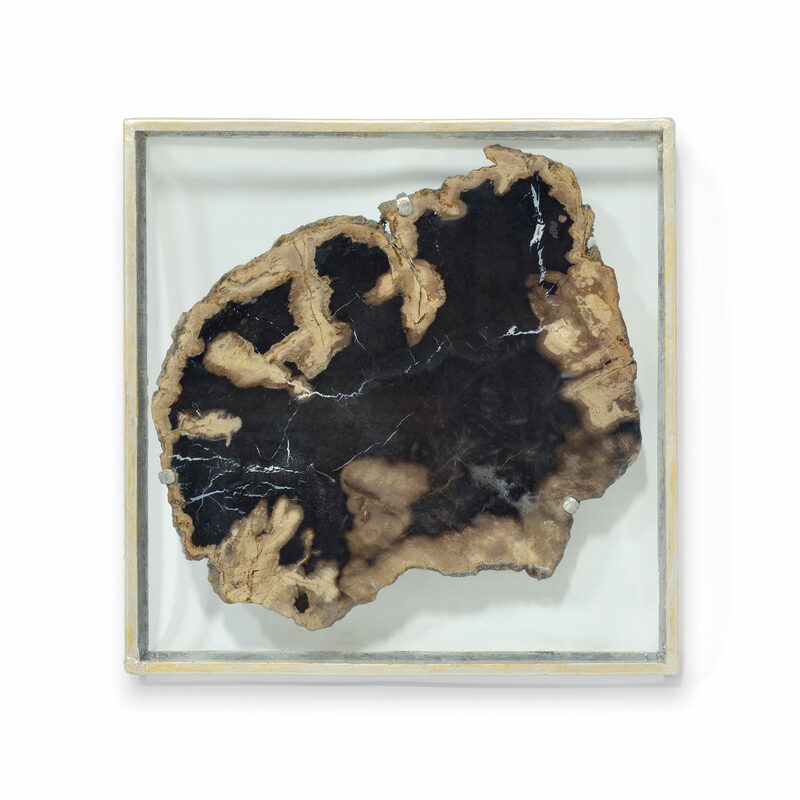 Wall decor comes with metal hanger for mounting.